Although I cannot enhance the poor pic it seems an eagle flies under the logo on the body ! 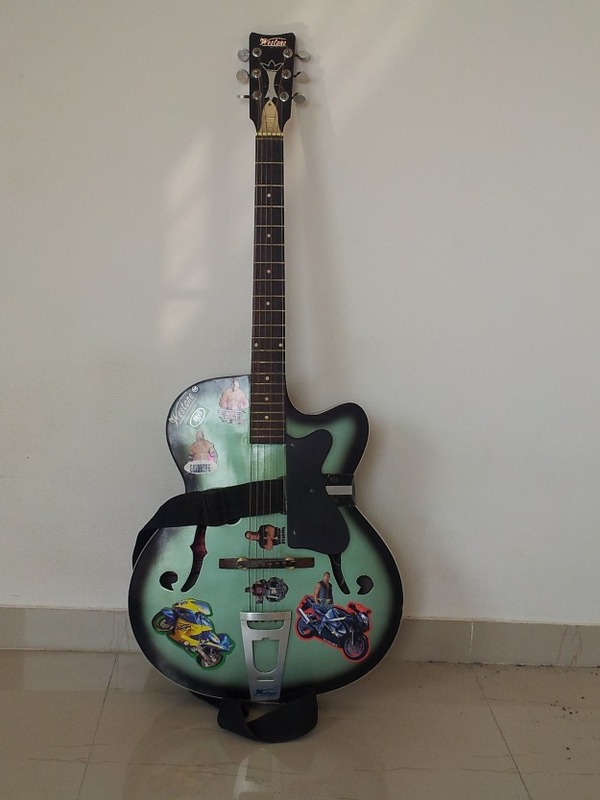 http://www.westoneguitars.net/guitars/unidentified-models/ The guitar above doesn't look like a German guitar for it has such an Indian design feel to it IMHO! 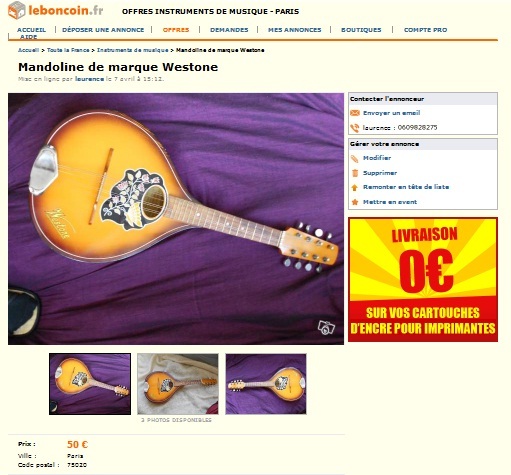 The mandolin on the other hand... could it be of German origin? It has the same underlining and the extended last leg of the 'W' above the rest of the letters. It is also figured on the body. 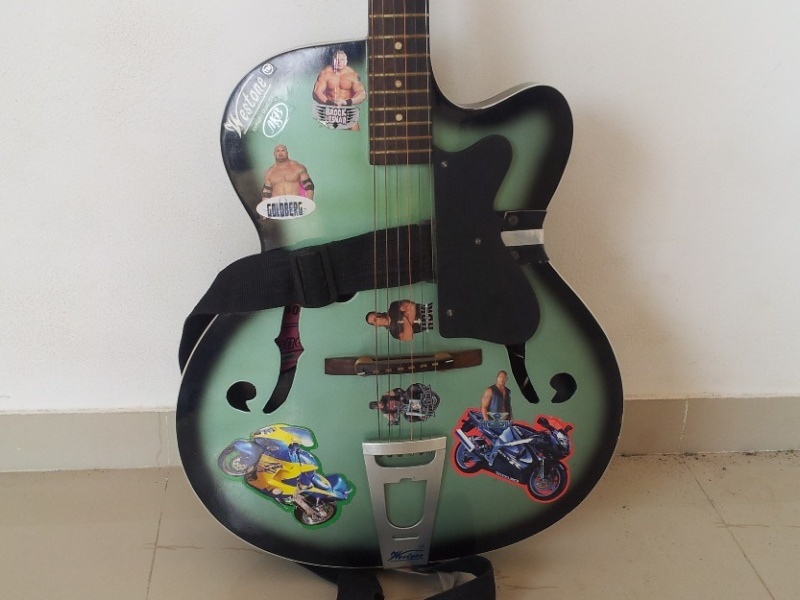 If anybody has pictures or other references to these other 'odd' Westone labelled guitars, please share them in this thread. 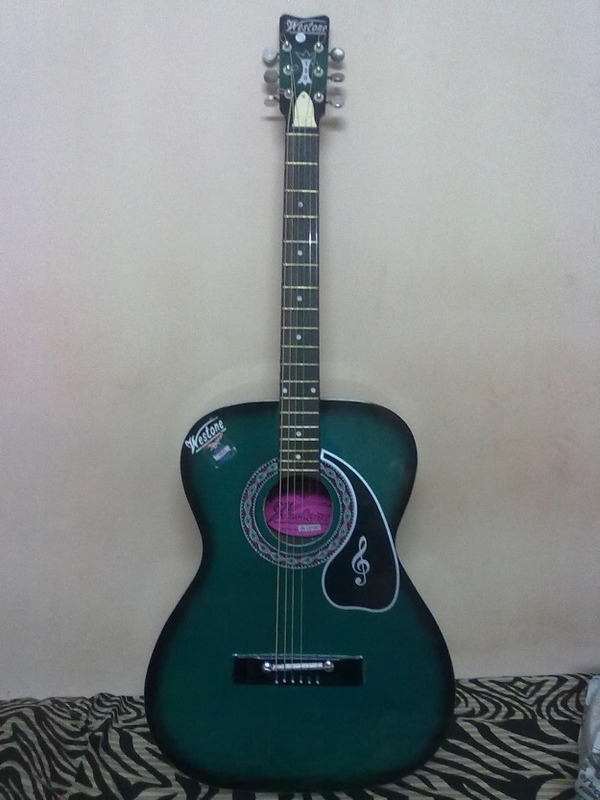 The above guitar seems to be a rebranded Givson G 150 Standard. 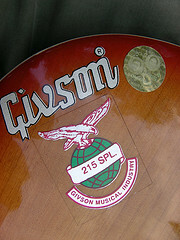 A Givson body logo with more detail beneath. Think it's official, and enough proof to make my theory on an existing Indian Westone Brand valid. Apparently they are mostly branded 'Givson' but sometimes wear other names like Fendar, Hobmer, Master, Tronad, Westone or other names. Most often the logo is positioned on the body too. Looks like a lot of rubbish. Nobody will be fooled by Givson but it's too bad the Westone name is being maligned so badly. Barry wrote: Looks like a lot of rubbish. Nobody will be fooled by Givson but it's too bad the Westone name is being maligned so badly. Geez, they look a load of old crap. Use the Westone name in vain, indeed. Time to consider maintaining a Notsumoku or Notone thread to be stickied somewhere which details these known charlatans, hmmm? And moved to Non-Westone Discussion forum. 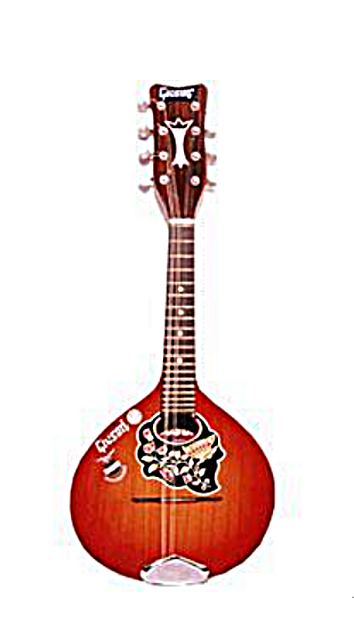 Saw an advert this week for a Westone 215, no picture but after speaking to the guy he described the guitar as an f hole, single cutaway, single pickup, natural wood westone 215 standard, dating back to the 1980's, probably very rare. 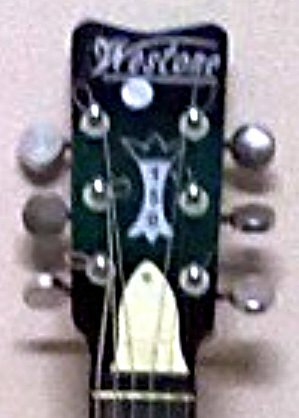 He said the head stock had the numbers 215 on it, the truss cover had "westone adjustable" and the top uncut horn had the word westone on it. 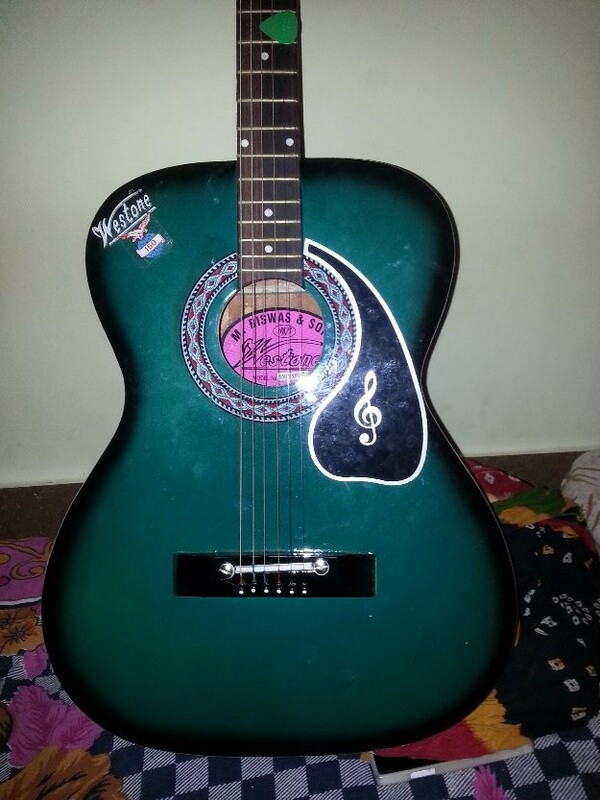 I asked about the label inside which he said read as "M Biswas & Sons, Westone 215 standard". He said it was a great player, about 2"'s thick but he couldn't get his camera to work and was not good with the whole internet thing, posting pics etc. I agreed to buy it, having searched the web, thinking maybe it could be rare and was going to send the cheque tomorrow.......NOT!!!!!!!! 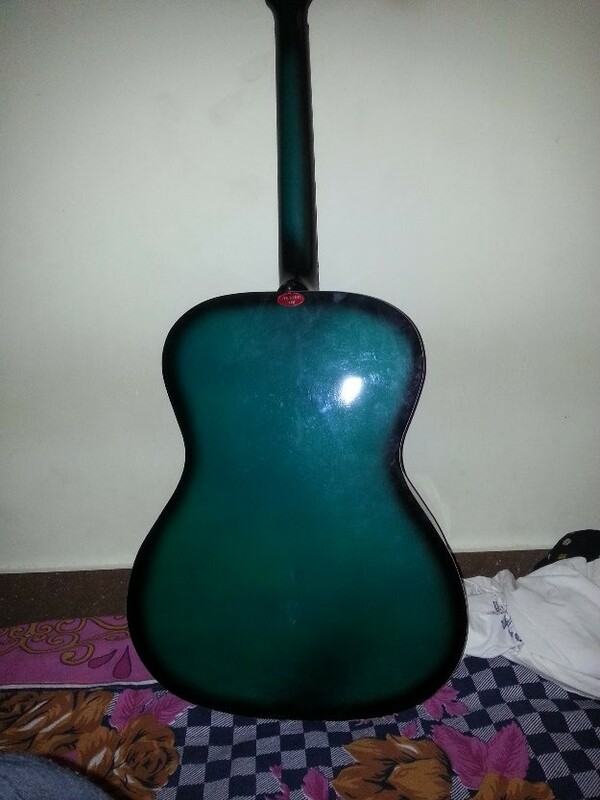 Thanks to member Meadows who was able to see the label inside a guitar from India with a Westone name we know which factory produced them: The Biswas company.